It’s been a while since I’d been in a big gym. Lots of equipment to choose from, the scurry of people, and all kinds of exercises and movements. When I watch people work out; I get a little scared. That can’t possibly be be good for your body or spine, I say to myself. Where do some people get some of these exercises? Some must take them out of magazines and do poor re-enactments. I like to think I have an open mind, but when it comes to what I see in the gym… A class in fundamentals 101 tops the list for people to be working on. It hurts watching this guy. I don’t see too many people working on stability, in fact I see very few. Would you like to stay out of the hospital because you know how to protect your spine and stay on your feet? Work on your stability. Maybe that just doesn’t include the gym either, but that’s beside the fact. Do you know how to work your extremities why you stabilize your core? A simple push-up is a perfect example. You should be able to move your own weight around before you go picking up any external force like a barbell or dumbbell. The fact is most people could prevent injury just by working on their stability. Plain and simple if you have no stability; you have no balance. Guess who’s going to take the fall and hurt themselves? We all need a foundation to build on. I see most of the people in the gym working on strength and endurance. And those aren’t bad things! But they’re just two components of fitness. Granted endurance is extremely important. However, I see so many people getting tired so quickly. It’s the demands on our lives nowadays; we just aren’t asked to do very much. Endurance is the foundation of any fitness programming along with building whole body and joint stability. Often, grooving motion patterns or movement patterns is overlooked, but is also a basic component of fitness. These three fundamental components should be foundational in your training. Don’t overlook the basics… way too many people do. Strength is a subject we can talk about for hours. Core strength, maximum strength, high-intensity strength training, periodization strength, bodybuilding strength, strength training laws, and hypertrophy phase of strength training all fit under the umbrella of strength training, programs, and principals. Which is the best one to practice? 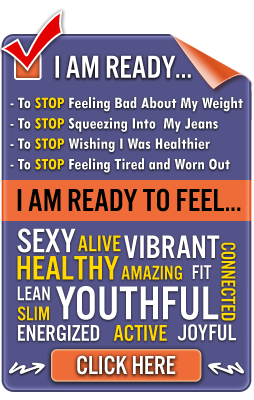 It depends on what your goals are and what kind of shape you’re in to begin with. For the purpose of understanding the basics let’s focus on fundamental strength. Can you handle your own body weight? This is the piece of equipment you’re going to have to haul around the rest of your life. Along with body weight strength fundamental strength includes working an 8-12 repetition count to your tolerance point. Everyone’s tolerance point is different. The big picture here is… build your strength. And of course don’t forget if you’re looking to build strength you have to eat enough to grow. In my 12 years of training I don’t see too many people working on their power. Of course power training is typically for higher-level performance, but if you develop more power your strength is certain to improve. Besides, power training is fun and explosive. Most people love power training when they’re ready for it. Ever taken a medicine ball and gotten explosive with it? You don’t need a bunch of fancy equipment to develop your power. An explosive squat press or alternating lunge torso rotation with a medicine ball can help initiate power programming. Of course Olympic lifting is a prime example of powerlifting, but unfortunately way too many people don’t have the movement patterns or the exercise tolerance for this type of training. Can you be fit without it? Of course. Will you be fitter with it? When done properly you most definitely will be fitter with Olympic power training. Your anaerobic threshold and nervous system will be very challenged and developed. The point of sharing this information with you is: don’t forget about the basics and build your foundation! Don’t do what you see others do in the gym especially if your common sense warns you. And if you don’t know how to build your foundation… talk to a professional who will save you a lot of time and help you to prevent injuries. With the form I see out there, invest in yourself and learn the right way from the beginning. You will be so much further ahead in the long run. A good coach and mentor will help you reach your goals that much faster. It’s all about getting results in the quickest amount of time. I spun my wheels for years not knowing the things I know now. Your body, your training, and your results are based on the stimulus you give yourself. Provide yourself a quality experience, one that you will be able to use for the rest of your life because you learned the basics and built a strong foundation…then…you’re ready to go places! 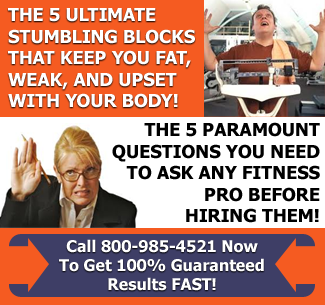 If you’re ready to learn how you can become the best version of you and get the support and results you’ve always desired…it’s time… http://personaltraininginmarin.com/personal-training-in-marin-consult.html Step up and see what you’re missing; you have a 100% guarantee or your money back. Here’s what decent exercise stability and strength look like.